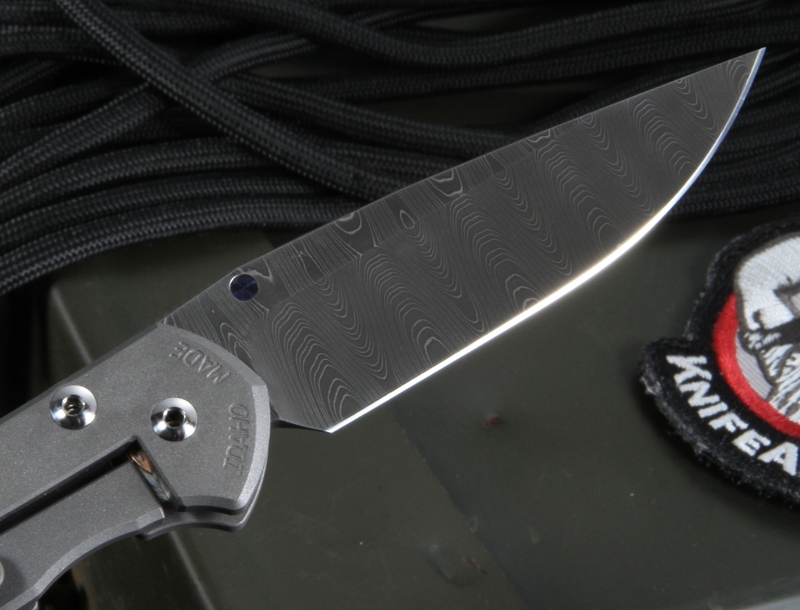 The Chris Reeve Small Sebenza with Ladder Damascus steel blade is a great, elegant folding knife for someone looking for a smaller carry and smooth look. At a total of 7 inches and a weight under 3 ounces, this knife should not be mistaken as a too-small tool. In reality, this strong sebenza can accomplish hard feats with its dexterity and strength. 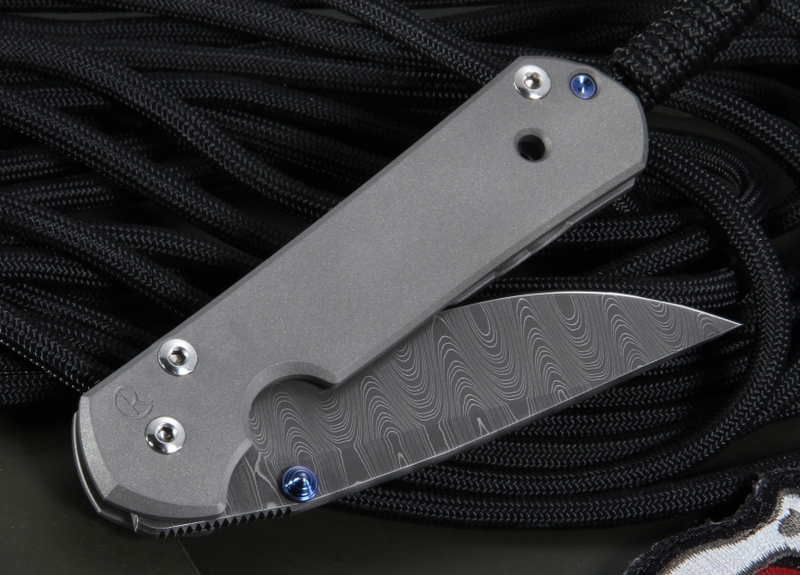 The blue titanium thumb lug adds a flourish to the overall design, and allows for quick deployment of the blade. The small Sebenza 21's 3-inch blade is made with the elegantly crafted Devin Thomas Stainless Ladder Pattern Damascus steel, with a drop point blade profile and hollow grind. 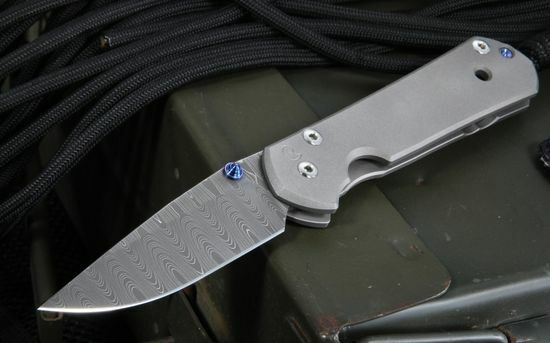 The blade is forged in America and provides the user with the patterned uniqueness and beauty of a damascus steel sebenza. These features allow for the knife to retain excelling sharpness, giving the user great ease in direction when cutting and slicing, the stainless quality makes it perfect for everyday, all-purpose uses. The comfortable filed thumb rest on the spine also gives the user improved grip. The 4-inch handle is made with lightweight blasted titanium, giving the knife it's strength without a hefty weight. The simplicity to the handle yields a comfortable grip, while giving the knife it's well-known bank vault feel. The gray blasted, American made handle not only reduces glare, but provides a positive grip. 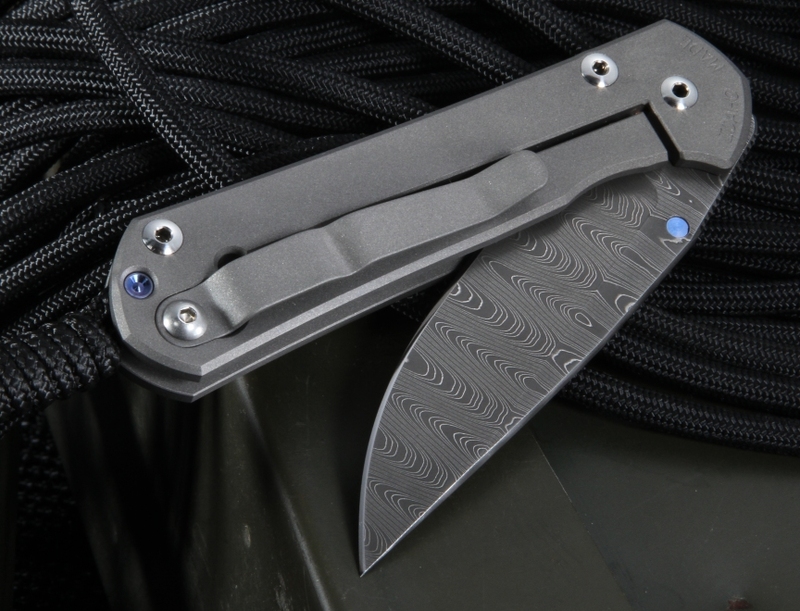 The handle also features a tip up carry pocket clip, with an additional lanyard hole for carry. By ordering through KnifeArt, you are guaranteed a high-quality, authentic Chris Reeve small sebenza. With our easy return policy and satisfaction guarantee, paired with free same business day shipping, we hope to bring you the knife you deserve, in top notch quality. I researched a lot , thought even longer and then took the plunge . This is my first Sebenza 21 with A Devin Thomas made Ladder Damascus blade . Am using this as my EDC . Spoke with both Larry and Rodney . They were patient and most helpful with the transaction . Thank you . I'd heard about the craftmanship on the classic CRK Sebenzas for some time now so decided to finally take the plunge. Why did I wait so long? The fit and finish is amazing. The Devin Thomas Damascus is stunning and the smaller size makes the perfect edc.